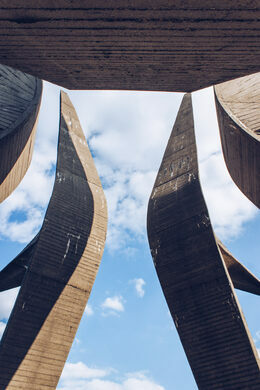 The Kosmaj Monument (Kosmaj Spomenik in Serbian), is made of six freestanding concrete structures, each roughly 40 meters high, that taken together look a bit like a spaceship sent through time from a future envisioned in the 1970’s. 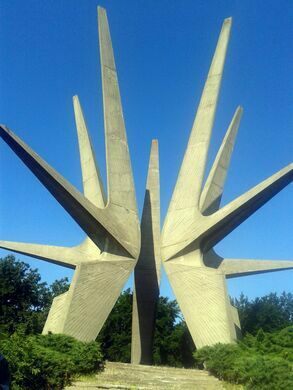 The monument itself sits atop the highest peak in the region like some sort of Christmas star crowning a mountain-sized tree. 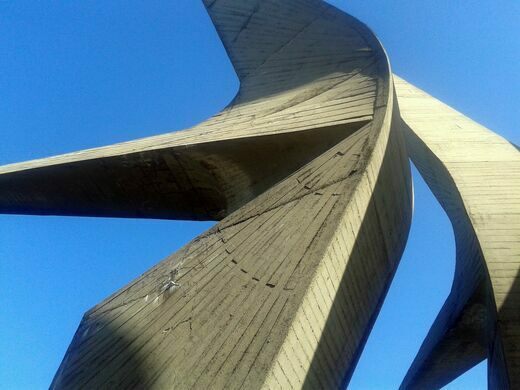 According to modern visitors, the monument is in some disrepair and unfortunately the locals do not seem to have any interest in restoring it.